You may have seen the picture of my poster in my previous article, but it does not tell the whole story. It does not reflect all of efforts my mentors and I put into this project during the summer of 2018. As part of REU program, I spent about ten weeks in Norman, Oklahoma from May 21 to Aug. 1st. The project that was assigned to me was under National Severe Storm Laboratory, and I was supposed to validate the data quality of a pressure port. It may seem easy, but it was not. I had so much to learn, and I also went to several workshops for various topics: coding in Python, writing a scientific journal article and exploring career opportunities. It all began when one of my mentors gave me background information on pressure port designs and common issues with these designs. I also took a look at instruments on top of the truck used in Mobile Mesonet. Over time, my mentor and I performed test drives and added modifications to instrument rack. We had quite a few misadventures during our tests, such as flat tires, raccoons crossing the road, broken instruments and horrible GPS altitude data. Toward the end of summer, my other mentor helped me with writing the final paper on the project, and it was an challenging task. On top of that, I also had to present my project to scientists and other professionals in National Weather Center. However, the whole summer wasn’t necessarily all work. Despite it being brutally hot, I still had opportunities to go out and explore. In case you are wondering, we hit 110 degrees at least a couple times. I went storm chasing with the program director and her family twice. I have some cool pictures of supercells from two separate times. 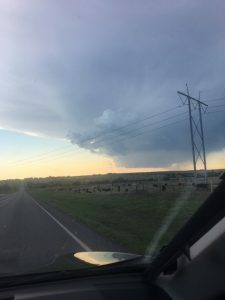 The first one from May 25 was a nearly stationary low precipitation over Wheeler, TX, and the high precipitation storm from May 29 was stalled over Oklahoma-Kansas border for a while before turning southeast slowly. 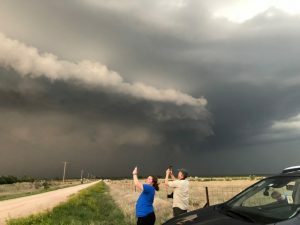 Ivy MacDaniel and program director’s husband taking photos of high precipitation supercell in Texas. 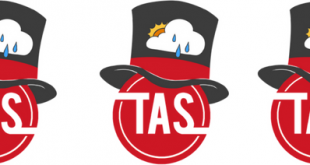 The former barely produced any precipitation besides enormous hail, and the latter was known for dumping rain and huge hailstones in buckets. Besides storm chasing, I had a chance to go to Wichita Mountains in southwest OK.
A low precipitation supercell in Texas. The REU group went hiking there before driving to top of 2,464 foot Mt. Scott, and we saw so many lizards and a couple of tarantulas. The tarantulas were the size of palm of hand, and a few of us tried to pick one up. A couple of us went to catfish noodling tourney, and some of us went to LGBT+ ceremonies and parade. 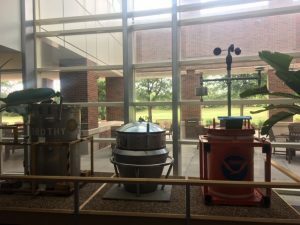 A couple of my favorite memories from the National Weather Center itself were Twister props and and insane number of frogs and toads in drain at NSSL vehicle bay. In end, the last summer was not just a huge research project I presented at AMS Conference, but also one of my best summer so far! *For readers- The high precipitation supercell picture had a minor error in caption. It said that we were in Texas at that time. It was supposed to say that the supercell was near Oklahoma-Kansas border. The other one was in Texas for sure. I apologize for error.